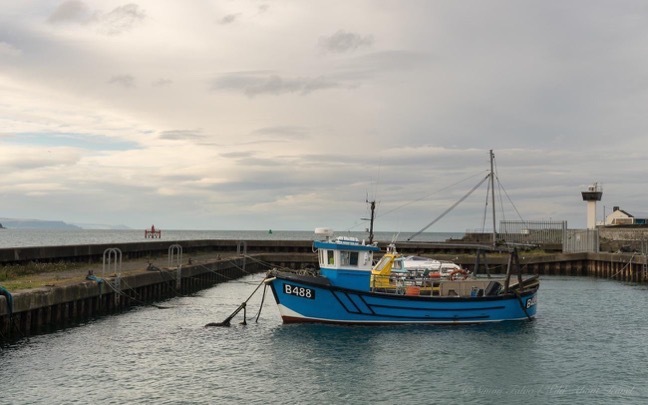 I collected the rented car at Belfast’s airport and with a little apprehension – it was my first time driving on the left – I headed toward the Causeway Coastal Route. I started my Northern Ireland road trip, and it was love at first sight. As soon as I reached the coast I made the first stop, suspecting it would be followed by many others. I sat on a bench overlooking the sea, taking in the view, listening to the gentle sound of the waves, fascinated by the clouds hanging in the blue sky seeming so incredibly deep. 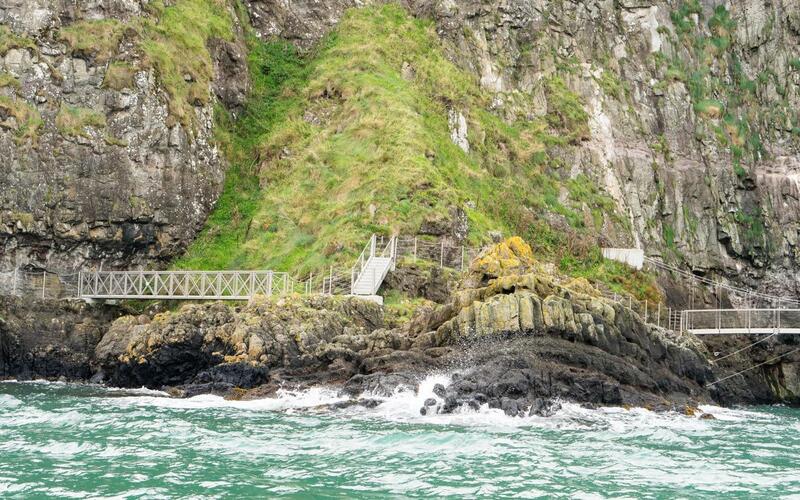 Back behind the steering wheel, I headed to Islandmagee for a boat tour to see The Gobbins cliffs from the sea. 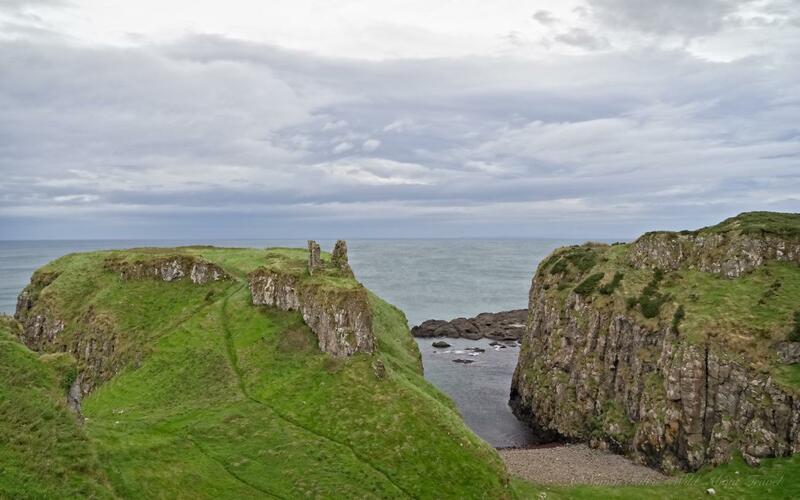 A popular walk in Northern Ireland, The Gobbins cliff path was created by Berkeley Deane Wise, a brilliant Chief Engineer of the Belfast and Northern Counties Railway Company, whose vision marked the beginning of modern railway tourism in Northern Ireland. In 1901, work started to realize Wises’s dream: a scenic path on the cliffs, with hanging bridges, tunnels, caves, steep steps along the wild coastline. Closed during World War II and abandoned in the early 1960s due to its high maintenance costs, the reimagined Gobbins cliff path was reopened in 1991. 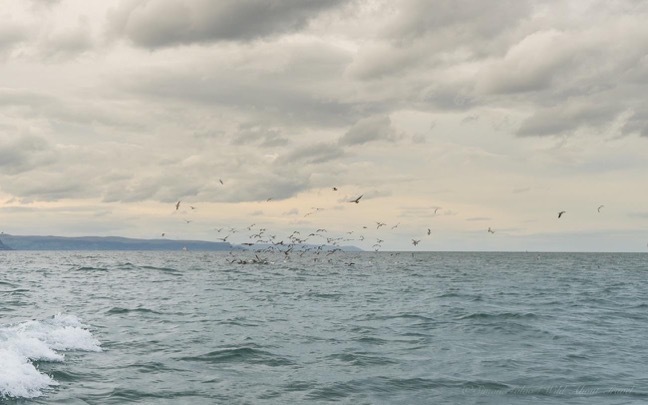 By the time I reached the Islandmagee peninsula to board the boat, the sky had become overcast and menacing. With the dark cliffs swept by the crashing waves and the howling wind, The Gobbins looked even wilder than I expected. A place where I’d like to go back to walk the path and at the right time to see the cute puffins. The first day of my road trip couldn’t have ended better: a very special Game of Thrones Banquet at the Ballygally Castle, followed by a good night of sleep. I woke up to a cloudy sky, hoping for a ray of sunshine during the day. 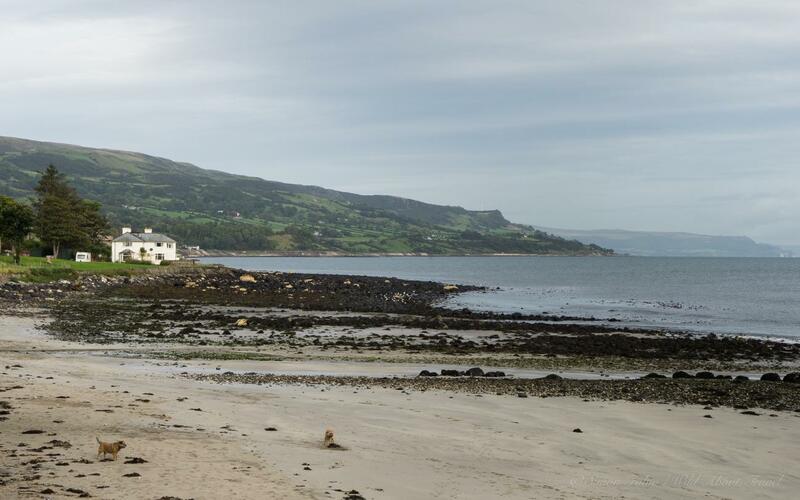 After a generous English breakfast and a tour of the lovely Ballygally Castle’s garden, I went for a short walk on the beach, deserted except for a couple of elderlies with a dog. 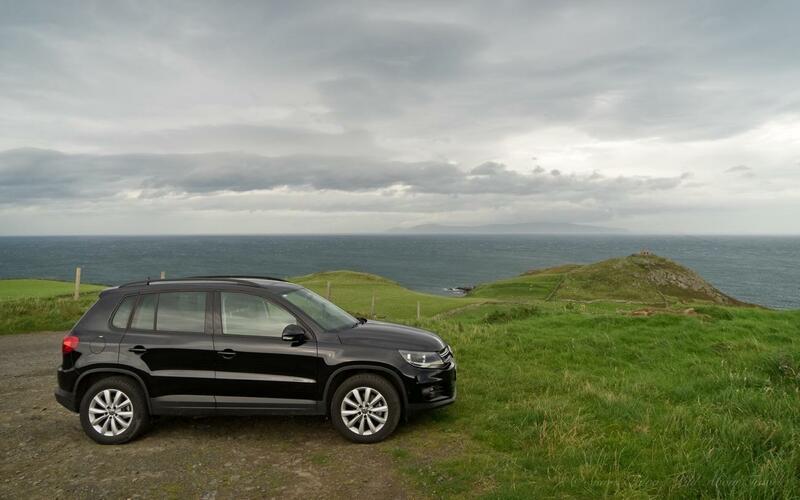 Time to take the car and continue the drive along the Causeway Coastal Route to explore more. 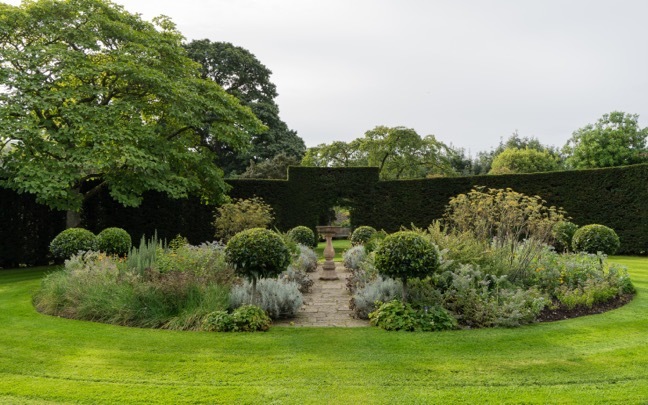 First stop, the lovely and peaceful Glenarm Castle walled garden with its vegetables and orchard, the manicured lawns and hedges, the colorful flowers and finally the Castle itself, with the imposing architecture dating back to 1636. 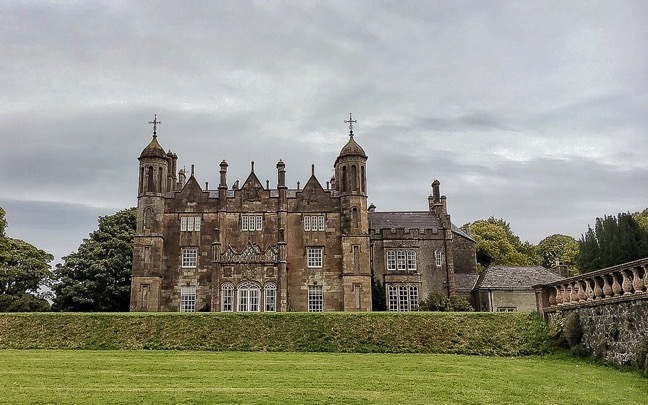 Owned by the McDonnell family since it was built and still inhabited by the present heirs, Glenarm Castle is open for visits only a few days during the year, therefore I could admire it only from outside. Before heading further north along the coast I took a detour inland driving along the famous glens (valleys): Glenarm (meaning the Valley of the Army) and Glencloy (the Valley of the Hedges). 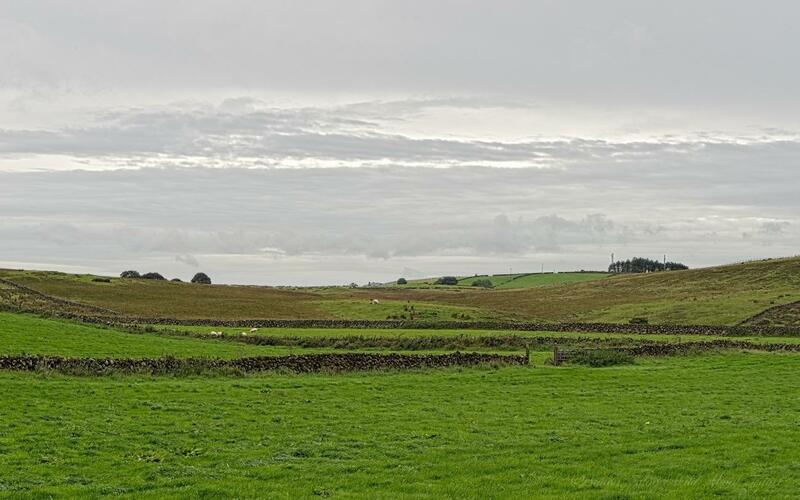 The lush forest was soon replaced by gentle hills covered with bright green grass, low dry stone walls marking the pastures, and white sheep grazing undisturbed. 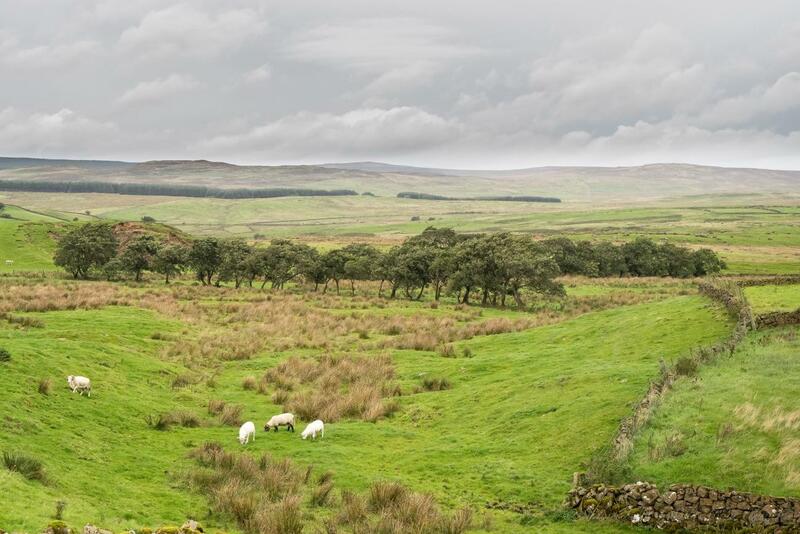 I wish I could have stayed longer and explore more of the nine Glens of Arnim but I had to move on, for there was still some distance to cover before reaching Bushmills. Back to the coastline, I followed the Causeway Coastal Route until I reached the crossroads with the Torr Head scenic route. 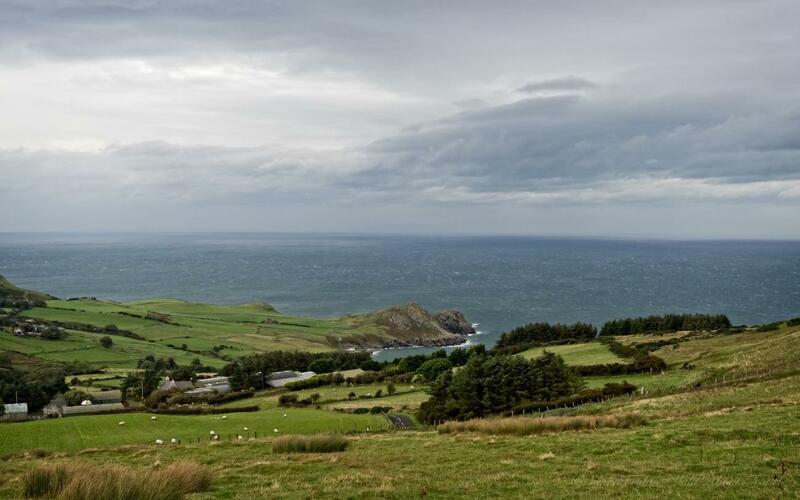 Torr Head Scenic Drive: A spectacular detour. Wishing to see as much as possible of the Northern Ireland wild coast, I couldn’t miss taking the detour and follow the Torr Head route. Not used to drive on the left the detour was quite a challenge. More than once I felt my heart throbbing while I drove on that narrow and winding minor road, not sure of how much space I had on the left, hoping no one would come from the opposite side because er… Would there be enough room for both? 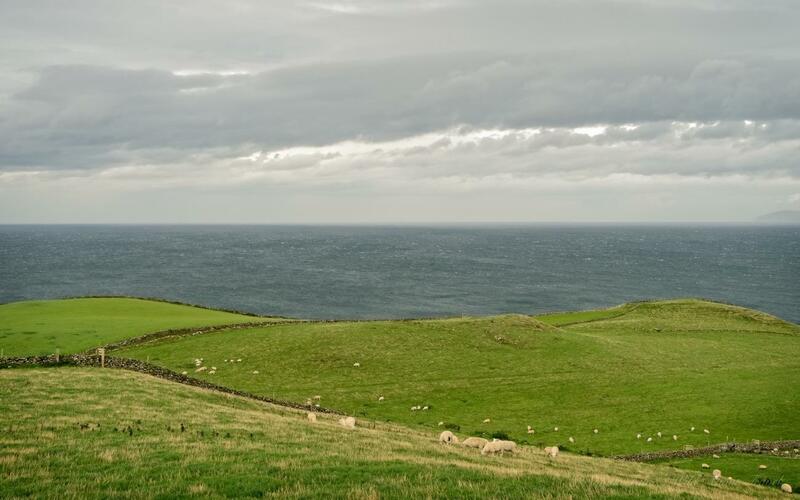 The thrill was well worth since I was rewarded by the magnificent views of the countryside, the wild coast and, a little farther, Scotland and the Mull of Kintyre (do you remember the song by Paul McCartney?). 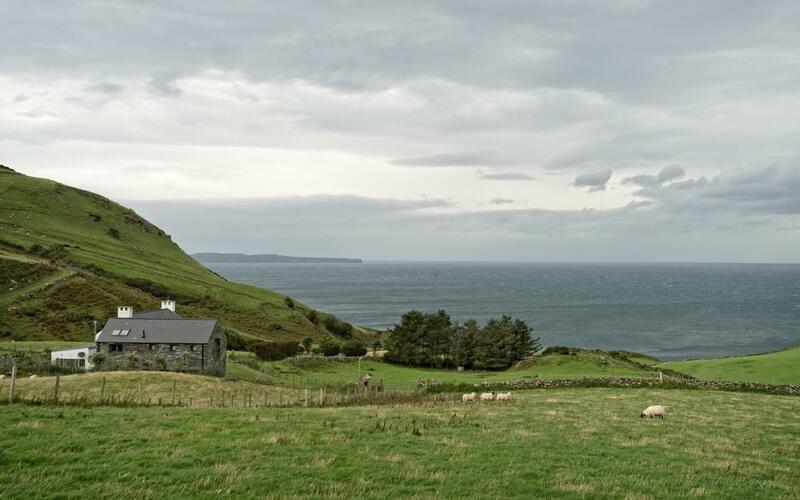 It was getting late and I continued toward the Giant’s Causeway and Bushmills, where I would spend the night. Back on the Causeway Coastal Route I was greeted by yet another spectacular scenery. Every time I thought I had seen one of the most beautiful stretches of coastline, another breathtaking site appeared. I was falling deeply in love with Northern Ireland. As I reached Bushmills, a strong wind started to blow, with howling gusts so impetuous to push me forward or make me struggle when walking against them. Ominous clouds covered the sky, announcing that the rain would soon come. Time to get a hot shower and a little rest at the hotel, before visiting the Giant’s Causeway and admiring its mysterious rock formations. Stay tuned: Part 2 of my road trip along the Causeway Coastal Route is coming soon! Note: I was invited by Visit Britain and Tourism Northern Ireland to discover this beautiful region. Believe me, the amazement is all mine!